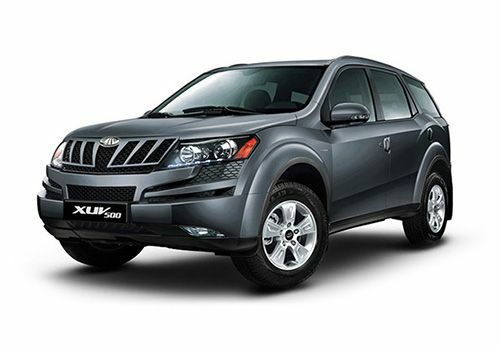 Mahindra XUV500 was a huge success in Indian market as soon as it was launched in the country. The SUV bears testimony to the tough range of wagons popular in India. All the 3 variants including this one are made of a monocoque body structure used fir the first time by M&M. A single frame is used to construct the SUV unlike traditional design. All the 3 models are more or less similar except the drive option. This particular model is the 2 wheel drive option. Two wheel drive vehicles apply the torque from the engine to only 2 wheels (in this case to the front wheels). Mahindra XUV500 W6 2WD is equipped with 2-wheel drive to provide better fuel efficiency. By consolidating the transmission, engine and differential towards one side of the car, the bulk of the weight is moved to that side of the vehicle, which gives tyres a better grip on the road. The other side can then be used for cargo or passengers, making the 2-wheel drive more suitable for passenger vehicles. The engine used in this SUV is common to all 3 variants i.e. a masculine 2179 cc mHawk diesel engine delivering 140bhp. The model misses out on the 6-inch colour touch screen infotainment display. Instead it has a monochrome 6-inch infotainment display. GPS navigation system, a DVD player and tyre tronics are absent; however the model does have dual airbags (driver’s and passenger’s). Moreover, the model is well equipped with cruise audio, phone controls and voice command switches on the steering powered electrically and with tilt adjustments. Mahindra XUV500 W6 2WD comes with dramatic and very unique exteriors. The headlamps on the front are shaped distinctly along with a stylish grille. What makes the front profile of the car even more exciting are the huge bumpers with Mahindra’s logo positioned aptly on the chrome finished grille. The rear end of the car is edged out well with stylish and chic tail lights. From every angle and every bit, Mahindra XUV500 W6 2WD is a proud SUV, which boasts strength and bold curves. Going into the details, the halogen headlamps with multi reflectors and LED turn indicators provide a very clear vision to the driver during night time. The side profile of the car is as bold as the front and rear. The wheel arches are glorious along with electronically assisted ORVMs and metal handles, which add a bit of glamour and bling to the car. The side skirts further enhance the appearance of the car model and make it look very striking. On the inside, the interiors of Mahindra XUV500 W6 2WD are premium and a mix of sophistication with good technology. The excellence and skilled craftsmanship can be seen in the premium leather upholstery for the seats, which makes the ambiance airy and delightful. The dashboard design is very attractive, while the dual tone theme on the inside perfects the entire interiors. The centre console is fitted with an infotainment console that has many technologically advanced features . The AC vents here are in half recta design and the red illumination on the ergonomic panel makes the car interiors furthermore enhanced and amplified. A hint of chrome on the gear knob and steering wheel leave you speechless. There is also a bit of wooden finish on the centre of the dashboard that is complimented by an instrumental cluster that is well lit. The storage places in the front cabin have been designed well, keeping in mind the high class aesthetics. The comfort level in Mahindra XUV500 W6 2WD is superior and top-class. The SUV provides plenty of storage spaces like can holders, bottle holders, glove box, magazine holders and chiller that make the ride more convenient. The armrests present are wrapped in leather to provide com fort, while the panelized accessory space is very attractive. The seats of the car are spacious and very comfortable. The thigh support with extra elevation for the back is marvelous. Besides the comfy seats, the Mahindra XUV500 W6 2WD comes with ample amounts of boot space as well, which promises to fit in a lot of luggage for your long road trips. The other standard comfort features comprise of air conditioning system with rear AC vents and automatic climate control, power windows, power steering wheel with audio controls mounted on it, advanced CD/MP3 player with radio FM and USB, Aux-in and Bluetooth connectivity, cruise control and parking sensors . Mahindra XUV500 W6 2WD comes with 2.2-litre mHawk diesel engine under the bonnet with VGT technology that promises high class performance . The engine has a displacement of 2179c c and is capable of churning out a maximum power output of 140bhp at the rate of 3750 rpm along with a maximum torque yield of 330Nm at the rate of 1600 to 2800 rpm. This engine is further mated with a very inspiring 6-speed manual transmission , which helps the car deliver excellent performance on road. The car model is capable of touching the 100 kmph speed mark in 13.6 seconds and has a top speed of 185 kmph . Talking about the mileage and fuel economy, the car engine is fairly frugal and manages to give out 12 kmpl of mileage on the city roads, and 14 kmpl on the highways . The braking and handling of Mahindra XUV500 W6 2WD is superb. The braking system of the car is enhanced by the presence of disc brakes for the front and rear along with Anti-lock Braking System, Electronic Brake Force Distribution System and Brake Assist . The handling of the car is made up-to-the mark with its superior suspension system, comprising of McPherson type with anti roll bar setup for the front and multi-link type with anti roll bar for the rear. This is amplified by cruise control and power steering wheel. Mahindra XUV500 W6 2WD is loaded with tons of safety features. the major ones comprise of airbags, ABS, EBD, BA, crash sensors, keyless entry, central locking system, day and night rear view mirror, rear seat belt, and engine immobiliser.